With back to school on the minds of parents, teachers and kids alike, we turn our thoughts towards our clients in the education industry. We often hear the term "campus standard" and no matter who your site furniture of choice is, determining a site furniture campus standard can go a long way to creating a cohesive campus plan. The importance and usefulness of site furniture at a school is clear. Litter receptacles keep trash in its place and help to maintain a clean campus. Bike racks encourage alternative transportation and define bicycle parking areas. Table sets and benches create public spaces for students to relax, meet and gather. 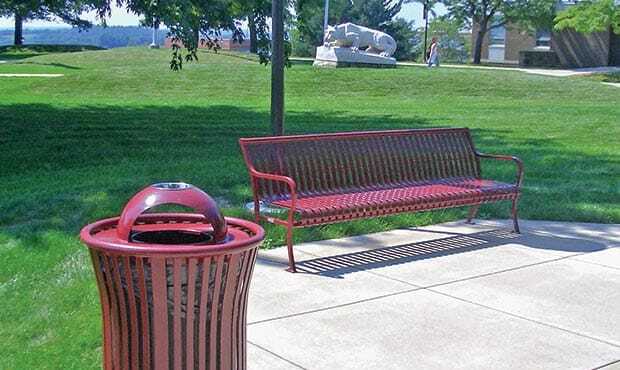 Ash receptacles designate smoking areas and support environmental smoke control. Recycling containers promote responsible disposal practices. While the functionality of site furniture on a campus can be obvious, the importance of coordinating and matching amenities can be neglected. Below are reasons to maintain a consistent site furniture theme throughout a college or K-12 campus environment. Whether your furnishings are done in a custom color to reflect school pride or if it is just a standard black, using the same company for all your furnishings will ensure the color is consistent throughout your campus. Different companies use different types of coating and finishes applied to different thicknesses. Research finish options and choose one that offers a reliable color and finish on every product. Our KEYSHIELD® powder coat finish is a great example. Use your furnishings to reinforce your brand and your school’s identity. We already discussed color as a way to do this, but also consider how your school logos or crests can be incorporated. With laser cut logos, decals or plaques on furnishings, you can brand your products to make it clear when you are on campus and what school you are at. If you maintain this imagery throughout campus, it will help to define your perimeter. Pick a bench and stick with it. 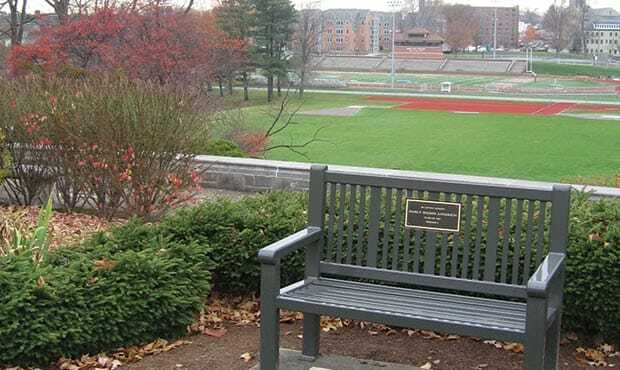 Offer it as a means for alumni donations, memorials and sponsorship with customizable cast bronze plaques. We have many clients that order one bench at a time as they secure donors. It’s a great way to generate funding for a project while continuously adding matching furnishings throughout campus. Outside of the aesthetics that consistent furniture provides, you can establish an ongoing purchasing relationship that can be awarded with volume discounts. Contact one of our sales representatives to learn more about the volume discounts that can be achieved with Keystone Ridge Designs. Working with one company for all your furnishings means establishing a relationship and building trust with a familiar contact. Easily get status updates on your orders, quick service and knowledgeable advice from a dedicated sales representative rather than working with multiple vendors. 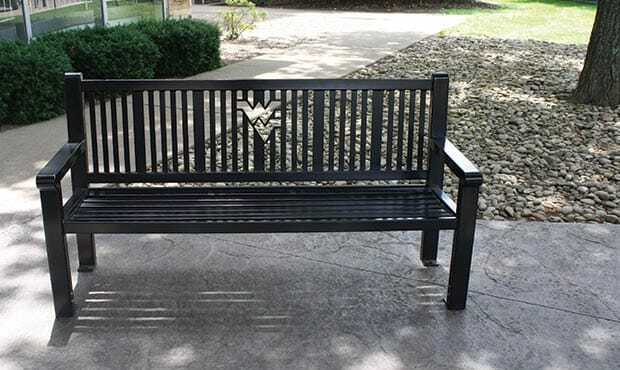 Whether you are looking for customized products to promote your school’s brand image or if you are just looking for furnishings that seamlessly blend into the existing environment, establish a standard for benches, bike racks, trash cans, table sets and bollards and maintain it throughout your campus. Site furnishings may be one of the last things installed on a project but they certainly can make a great first impression to students, parents and visitors. You can download more information on site furnishings for colleges and universities here. Durable Site Furniture - What Does That Mean?